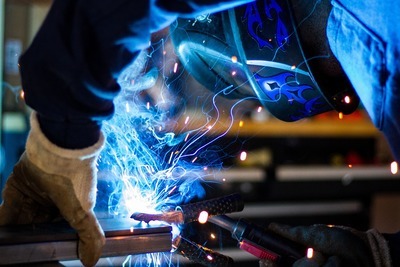 Whether you are a DIY metal working aficionado, or someone just diving into their first welding project, it's easy to get overwhelmed with the number of choices available when shopping for a welding machine. This guide, from QWS Welding Supply Solutions, an Australia's largest range of welding supplies online, will show you how to buy a welder that will suit all of your needs. What Kind of Welder Should I Buy? There are four different kinds of welding machines. We're going to lay them all out for you so that you can weigh your options and find the best welder for the job. Also known as gas welding, it uses a gas mixed with oxygen. The oxy-fuel welding torch is used to cut metal and weld it together with a metal filler. It consists of a torch, regulators, fuel tank and tubing. Oxy-fuel welding was the most common way to weld until arc welders were invented, and factories discarded it. However, it is still used today by artisans and small shops. One thing to keep in mind is that this type of welding creates rather weak joints, it warps the metal and damages an area around the weld in the process. 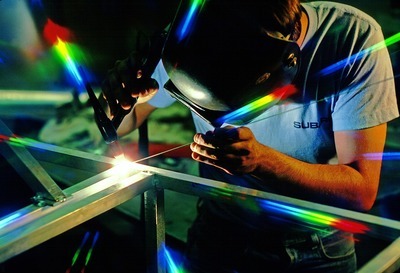 It is a low-quality weld that is more appropriate for decor, than items that will be regularly used by people. Arc welding is one of the most popular ways to weld in small shops. It consists of using an arc of electricity, that runs from the metal and the welding stick, also called an arc-welding electrode. It can be used both inside and outdoors, and can even be used to weld joints on rusted or dirty metal. This is a messier type of weld, as it spatters, and requires more protective gear to be worn, and more clean up afterward. It is one of the most used types of welding machines by hobbyists today and the best welder for home use. MIG welding machines use a wire electrode that is spool fed at a selected speed. It creates an arc between the metal and the wire, which melts it onto the base metal to create a strong weld that is clean and neat looking. It can be used on thin or thick metals. Flux Core welding utilizes a similar process to MIG, the only difference is that the wire that is spool fed contains flux, so it does not require a shielding gas. It protects the arc from contamination of other gasses in the air, and can safely, and easily be used outdoors in windy or dirty conditions. It has a high welding speed and is the best welder for beginners. TIG welding uses a tungsten electrode, and a shielding gas, such as argon, to protect the arc while welding. The electric current runs through the gas shield to produce plasma. It is used to weld alloys of copper, stainless steel, magnesium, and aluminum. Compared to the other welding machine types, TIG is the hardest to master, and takes longer to learn how to use it. It is not the best welder for beginners. There are several factors to consider when purchasing a welder. The main ones we recommend you look at are power options and finding a welder with the right duty cycle. The higher the voltage, the thicker the metal a welder can work with. Some high voltage welding machines need their own power supplies, however, as they will need more power than a building's set up can supply. They often need a generator or a power outlet on a separate circuit to be run. Anything less than 100 volts can be run from any power outlet. Anything with that runs on 200 volts cannot. DC welders have a wider array of welding electrodes and can be used to make arc strikes and deeper penetrating cuts. Overall they give a welder better control while they work. AC powered welding machines have a lower cost, but limited array of electrodes. Fortunately, there are machines that are AC/DC models, that combine the two power current usages, for a better control, and a wider range of electrodes for welds. The term duty cycle refers to the amount of time a welding machine can be used before it must be turned off and set aside to cool down. A rule of thumb is, the cheaper the welder, the shorter the amount of time you can use it (shorter duty cycle), whereas the more expensive the welding machine, the longer the amount of time you can use it (longer duty cycle). If you are welding thick metals together that require a long weld time, a longer duty cycle is needed. However, most hobbyists and DIY projects will not require a long duty cycle. There are many factors to consider when looking at buying your first welder for your DIY projects, the best one for your job will most likely be an AC/DC unit that is a stick/arc welding machine.